Dale Gilbert Jarvis: Newfoundland Mermaids... for the win!! Newfoundland Mermaids... for the win!! About a month ago, I got an email from Erin, a grade four student at All Hallows Elementary, North River. 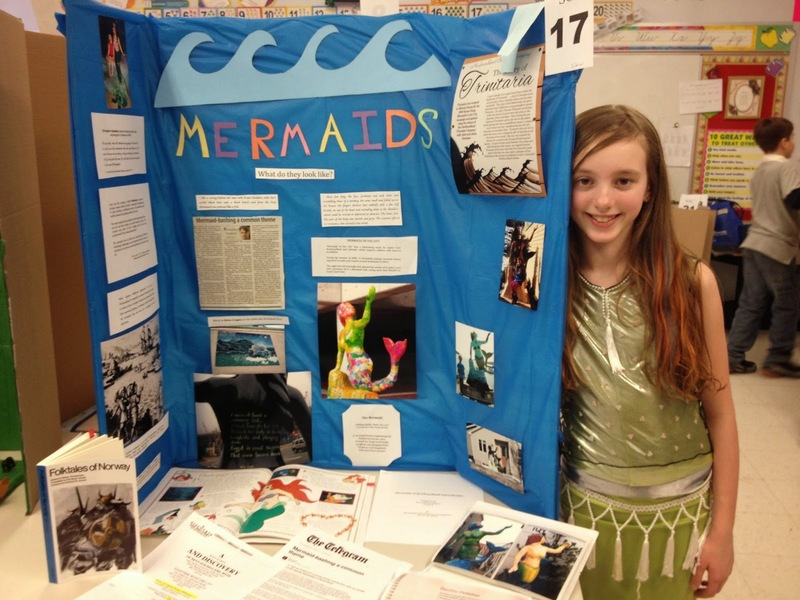 She was working on a Heritage Fair project, and had decided to do it on the folklore of mermaids in Newfoundland. So I sent her some information, and wrote up a little bit about mermaids in Newfoundland for my "Newfoundland Unexplained"column in The Telegram. Congratulations, and good luck, Erin!